The Galaxy View has been fully detailed ahead of its launch thanks to a plethora of leaks, and the 18.4-inch tablet’s user manual has now popped up online on Samsung’s website, suggesting an official announcement could take place soon. 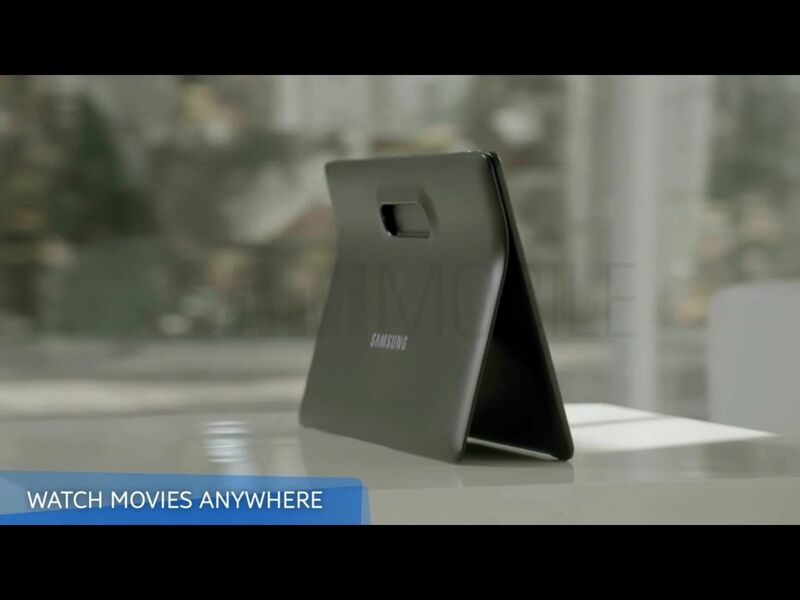 The user manual details various features of the Galaxy View, including the detachable arching handle at its back that acts as a dock and also doubles up as a way of carrying the tablet. The Galaxy View comes with stereo loudspeakers at the back, and it also sports a DC jack. The tablet does have a battery inside but it’s said to be only a 6,700 mAh unit, so Samsung has likely put in a DC jack to enable constant usage when users are at home and can connect the tablet to a power outlet instead of using the inbuilt battery. The manual also confirms a cellular variant, with the tablet to support LTE connectivity as we had exclusively revealed. 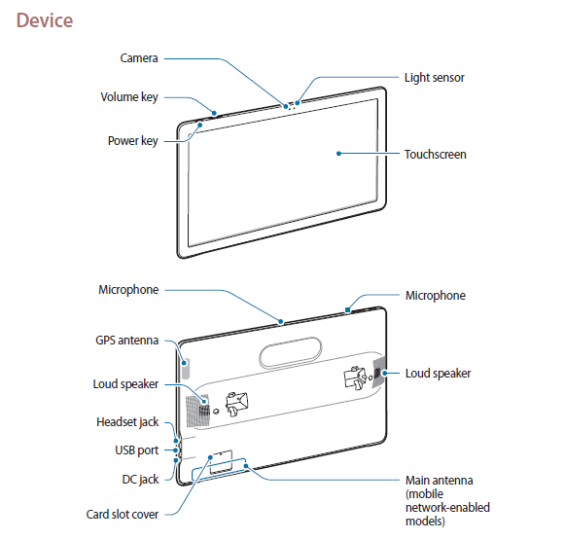 On the software front, the manual mentions a dedicated TV page and also reveals that the tablet will connect to Samsung Smart TVs from 2015 and beyond via Bluetooth. The manual also talks of a feature called Family Square. 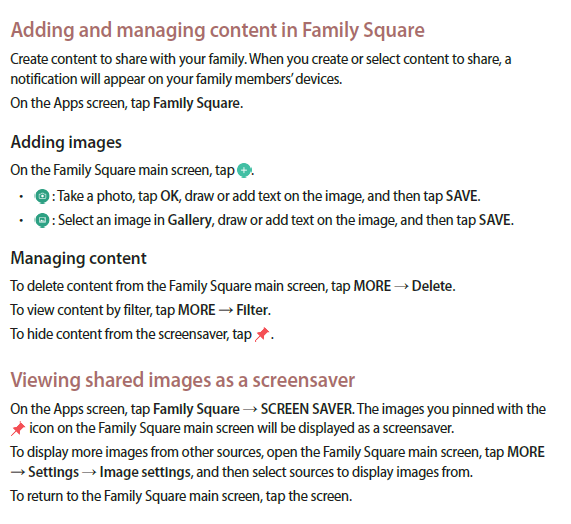 This is a way to share content with family members, and while Samsung doesn’t detail how the content will be shared, it’s likely a Bluetooth or a Wi-Fi connection will be used to connect to other Samsung devices. The Galaxy View seems like an interesting device, and it’s clear that Samsung will be pitching it as something that can slot right in between a tablet and a full-fledged television. Would you be interested in buying the Galaxy View? Let us know in the comments, and check out its user manual by downloading it from the links below.